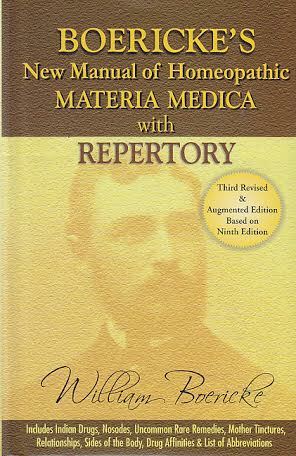 Boericke’s New Manual of Homeopathic Materia Medica with Repertory is the third revised and augmented edition based on the ninth edition of the most widely used book of reference for Materia Medica and Clinical Repertory. Categories: Health, Health and Medicine, Homoeopathy, Mind, Body, Spirit. Tags: homeopathy, 9788131901847, alternative medicine, alternative therapy, complementary medicine, complementary therapy, health, homeopathic medicine, homoeopathic medicine, homoeopathy. Boericke’s New Manual of Homeopathic Materia Medica with Repertory is the most authoritative book on homoeopathy ever published. Abbreviations and names of drugs have been standardised according to synthesis in the whole text. An index of the drugs, both common and Latin names, have been introduced under contents. This new edition has a section on rare and uncommon remedies, a section on mother tinctures, and an index of the drugs, with both common and Latin names has been introduced in the beginning of the book.